New items added ocassionally! Please visit often! Give the Gift of Good Energy! Want to give something more than the 'usual' present? Give a Gift that feeds the mind, the body and the soul! Gift Certificates available in ANY amount for ANY service, item or product on my website! Email Me Today to Purchase your Gift Certificate! 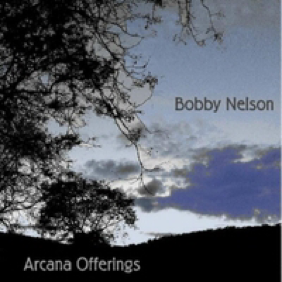 Notechaser Productions presents a luscious collection of tracks by composer Bobby Nelson. "Arcana Offerings" has 21 songs based on each of the Tarot's Major Arcana cards. Perfect for meditation as well as to inspire the listener to invoke their higher power during readings! Ideal for yoga, Pilates, meditation and more! All music (c) 2011 Robert C. Nelson.